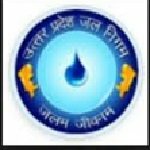 UPJN Routine Clerk recruitment 2016-17 notification apply for 398 posts : Uttar Pradesh Jai Nigam (UPJN) welcomes application for the position of 398 routine clerk and Stenographer vacancies. Candidates who completed their +2 class, diploma is a good opportunity.The individuals who are the occupation seekers searching for govt employments in Uttar Pradesh this is the best chance to apply. Competitors read the official notification then read all the guidelines and miners precisely then apply before the last date online application got. All the interested and eligible candidates can apply online before 21st July 2016. Candidates Age Limit: The age of the candidate should not be less than 18 years and should not be more than 40 years as on 1st August 2016. Academic qualification details: Candidates should have passed +2 class standard examination board / intermediate class standard examination board from any recognized board with typing speed in Hindi is 25 words per minute and 30 words per minute in English on computer and applicant should have diploma / certificate in computer application. Academic qualification details: Candidates should have passed +2 class standard examination board / intermediate class standard examination board from any recognized board with typing speed in Hindi is 80 words per minute and applicant should have diploma / certificate in computer application. Details of Fee particulars: All the interested and eligible candidates are need to pay application fee Rs 600/- for un-reserved categories candidates (General) / other backward class categories candidates and Rs 300/- for schedule caste categories candidates (SC) / schedule tribe categories candidates (ST) and Rs 25/- for person with disabilities categories candidates (PWD). Applicants submitted fee through State bank of India / e-collect only. Official website: All the interested and eligible candidates can apply online through official website of Uttar Pradesh Jai Nigam (UPJN) www.upjn.org from 21st June 2016 to 21st July 2016.